EDINBURG — Council members here will ask voters in November to consider raising taxes for the first time in over two decades to help pay for basic infrastructure needs. The Edinburg council voted last week to order a special election calling for a $30 million bond. If passed, city leaders expect to allocate $10 million toward roadway and traffic improvements and $20 million for drainage needs. That amount, however, would not cover the much-needed improvements, Edinburg City Manager Pilar Rodriguez told the council. His staff identified about $175 million worth of needed upgrades, but said the city is in no position to borrow that kind of lump sum. If voters pass the referendum in November, the city will increase its tax rate by nearly five cents, taking it from 63.5 cents per $100 valuation — a rate it’s been set at for the past 23 years — to almost 68.5 cents. For the average homeowner, a five-cent increase would amount to an additional $62 a year in taxes, the city manager estimated. “We’re maxed out on our credit,” Rodriguez said. 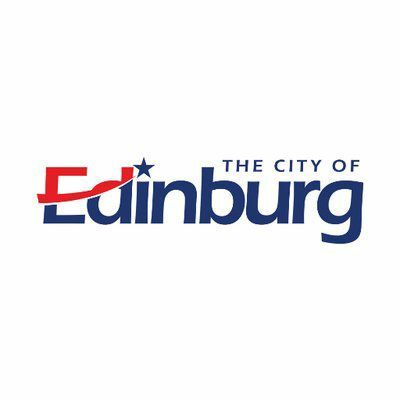 Over the past decade, the city of Edinburg has issued about $62.5 million worth of debt for the construction of several facilities, including parks, a new fire station, a police training facility, a wellness center and the new Bert Ogden Arena among others. Of that $62.5 million, we still owe about $49 million,” the new city manager said. Last year, the debt service fund, or the money the city uses to pay down its yearly debt, amounted to about $3.2 million. This coming fiscal year, the city expects to pay almost $4 million to pay off its creditors. The current council blames former elected leaders for the financial situation the city is in, saying they used creative financing to push through several projects without regard for the city’s future financial health. Enriquez also said former leaders did not properly invest in the growth of the capital improvement plan, which is a pot of money set aside to expand and maintain infrastructure needs. Rodriguez said he was working with the finance director to lower the city’s operating budget from about $55 million to $54 million in order to continue addressing such needs. Councilman David Torres lamented having to ask voters to approve a bond issuance, but felt it was necessary for the city, which is prone to flooding. Edinburg Mayor Richard Molina pointed out that the council doesn’t have to ask voters for their approval to issue a $30 million bond. But unlike Hidalgo County commissioners, who did not ask voters to approve a $150 million courthouse, Molina wanted to put the decision in the hands of the voters. Edinburg residents are also facing another potential tax rate increase from the Hidalgo County Drainage District No. 1, which will ask voters in November to approve a $190 million bond for improvements to its system. If passed, the bond would increase the district’s 9.5 cent tax rate by three cents.